There are 69,313 Bulk Loads Available in 4,069 Postings. Jimmy Galovich Trucking is looking for part time drivers. This could turn into a FULL Time postion after pobabitonary period or continue as part time. We are a small family owned end dump company out of Marion County, Tennessee. Located over the Hamiliton County, Tennessee - Jackson County, Alabama line. IF YOU ARE READY to join our crew contact us today! [email protected] Hey There! We are looking for Owner Operators with Hoppers to join our Dedicated Dispatch Program. Must have your own authority. Paid every Friday by direct deposit or check by mail (your choice)... Dispatch has 23 years of experience and works one on one with you. We run all over the 48 states. FAMILY is important to us as well, so we will get you home when you need. We run out two weeks at a time for optimal miles and money. Fuel card is available (if interested)...Call 308-537-2547 for Jennifer email her at [email protected] And 888-296-2855 for Mark or email him at [email protected] for more information. We look forward to working with you! [email protected] We are looking for Owner Operators with Hoppers to join our Dedicated Dispatch Program. Must have your own authority. Paid every Friday by direct deposit or check by mail (your choice)... Dispatch has 23 years of experience and works one on one with you. We run all over the 48 states. FAMILY is important to us as well, so we will get you home when you need. We run out two weeks at a time for optimal miles and money. Fuel card is available (if interested)...Call 308-537-2547 for Jennifer email her at [email protected] And 888-296-2855 for Mark or email him at [email protected] for more information. We look forward to working with you! B&K Farms Inc is looking for an o/op to join our small midwest based company. A late model grain trailer is available if needed. Drug Test before filling out paperwork! Looking to purchase A Train, Must be 2016 or newer,air ride, and lead trailer must be 40' or longer. Any thoughts or if anyone knows where there is a nice set for sale please let me know. [email protected] LOOKING FOR OWNER OPERATORS WITH THEIR OWN AUTHORITY & INSURANCE. FABULOUS CO TO HAUL FOR. LOADS AVAILABLE ALL OVER THE U.S. PAID FOR LOADS HAULED WEEKLY VIA DIRECT DEPOSIT. CALL ME AT 913-416-0324 FOR MORE INFORMATION. We are looking for trucks to load peas in Harrold, SD and run them to Meta, MO....is anybody interested? We have 5-7 loads over the next week. -No Paperwork filled out till Drug Test and Driver Testing is passed with Company! [email protected] We are running wide open in east texas. You should make $300 a day as a driver working a 14 hour shift. Its pneumatic work but you don't have to run hoses, they are already out all you do is back truck in and unload. I need experienced oilfield workers. You will need to PEC certified. I'm going to be pretty picky about who gets hired. You have to have verifiable extended hood experience to drive for me. Clean mvr and be able to pass a drug test. You also need a vehicle or a bus ticket and some starting up cash. 21 days on 5 days off. Affordable health insurance and a raise (if qualified) after 120 days. 940-393-0858 leave me a message if interested. We have power units and tankers. Can also purchase more equipment if needed. Looking for dedicated service. Company drivers staffed and can rotate around the clock. [email protected] Do you have a truck that you need to Lease on call me 620-446-2355 or 580-724-3100 Wes. Pull Our Trailer or yours home weekends good miles fast pay. [email protected] TRUCK DRIVER WANTED DRIVE MY TRUCK GOOD PAY HOME ON THE WEEKENDS. We are currently looking to fill a company driver position. We central KS based company that is continually looking to expand and find good team players in the industry. Driver is paid on percentage PLUS hourly wage of "On-duty" not driving. Applicants are required to have 2 years hopper experience, minimum of 24 years old, pass pre-employment drug screen, and hard worker. We require our drivers to appear on the job in professional attire, no flip flops or sweat pants here. Drivers are required to show up on time to origins and destinations without question. Please give us a call if you would like to know more. Freight 214 has availablity and ready to fulfill any load in Texas. [email protected] We need an END DUMP carrier to do internal yard work at our plant in Madison, IL five days per week, 8am-3pm. We will pay $75.00/hour. Truck will be hauling bulk granular (free flowing) feed minerals - phosphates, magnesium, urea, calcium, etc. 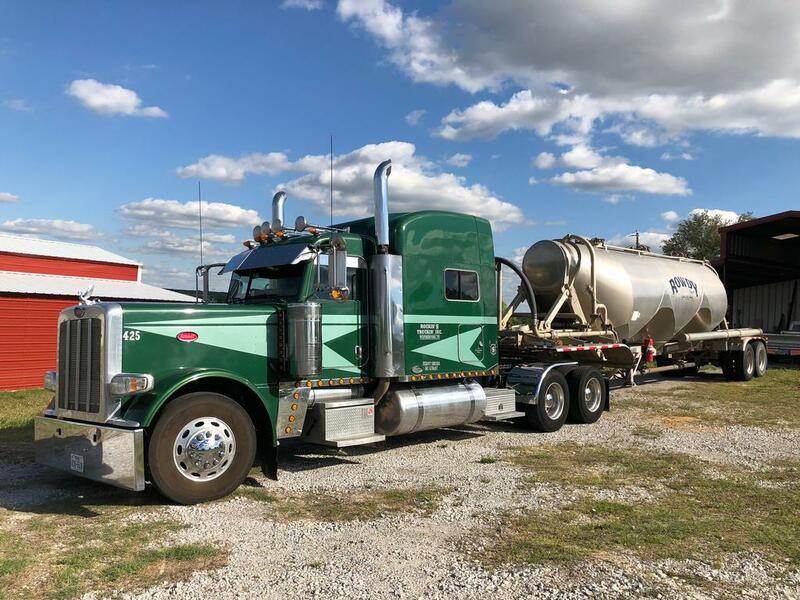 [email protected] Looking for Owner Operator who have their own authority and are wanting to work and haul good quality loads. Pull our trailer or yours. Paid weekly. Looking for carriers in the Midwest area. Year round work. Come work where you can be appreciated. Come where you can enjoy what you do. We have loads that fit everyones needs or wants. Home weekends 417-438-8665. [email protected] Looking for Owner Operators who have their own Authority. We have hopper trailers available if you do not have one. Hopper based freight through out the Midwest Region. Dedicated year round work and home weekends. Call #402-227-2535 for Details.Also looking for dry vans and reefers. [email protected] We are seeking Owner/Ops or Co. Drivers to pull hopper bottom trailers for Double T Trading in the TX, OK, KS, NE area. Competitive rates, home weekends, steady work, paid weekly. Will lease trailer if needed. 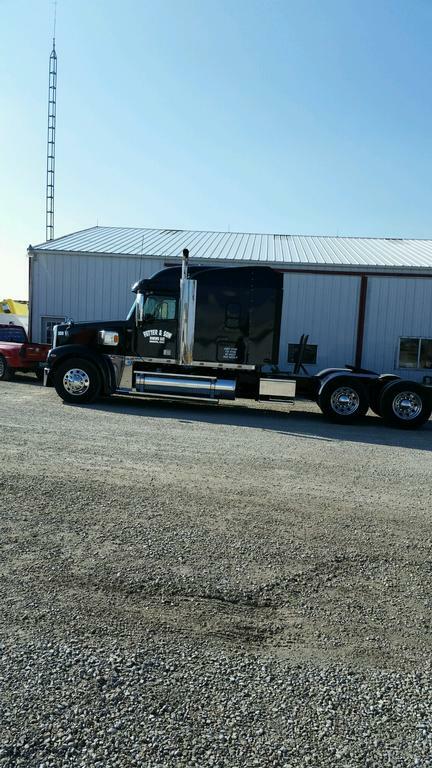 Looking for driver for my truck, I have a beautiful 389 black Peterbilt pulling a new black Super Hopper grain trailer. My company (Ace Trucking) is located in Lawrence Ks. We haul lots of different hopper loads mainly in the mid-west, leave on Monday's and home on Fridays. Would like to find someone close to Lawrence, Ks. so we can park the truck here on weekends. Depending on where you live you may get by the house once or twice a week. You get paid a percentage plus wait time weekly, must have clean driving record and be able to pass drug test. If interested call Steve at 785-393-9366. [email protected] Bledsoe Mining Co. 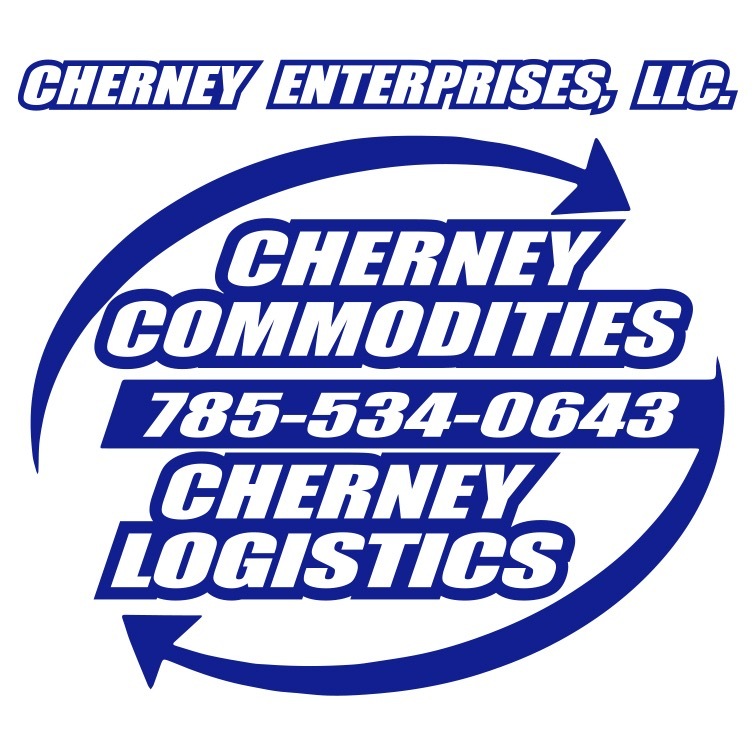 Located in Eufaula, AL has been in business since 1942 and is looking for owner operator's to haul dedicated bulk freight at good rates. Flexible on time out on the road and home time. If you do not have your own authority, we will help you in getting it. Do not have your own trailer, we have trailers for rent. Are paying a sign on bonus of up to $6K dollars. Please call (334)687-5318 for more information. We are expanding! Seeking Class A CDL Company Drivers to join our team! You will be responsible for safely operating a truck with hopper trailer. We may be able to route you through your home each week for your 34 hour restart. 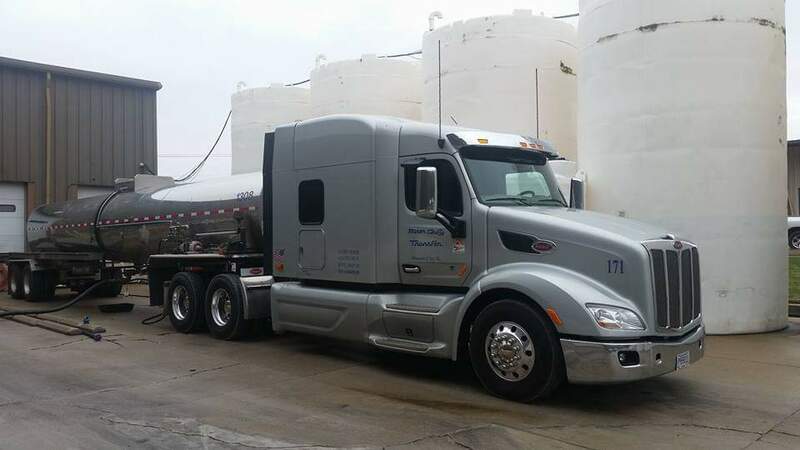 We offer very competitive pay - avearage company driver earned $70k in 2018! [email protected] Titus livestock is based out of Nebraska and we are looking to add on more owner operators to pull are hopper trailers . Fuel cards can be offered along with weekly settlements . Please ( call ) for more information. Justin Titus 712-260-2707 Thanks ! looking for end dump driver. Must be able to run. Stay out Monday to friday. Weekends only if you want.No whinny babies. No drama. Just drivers. We will take care of you. If you take care of us make 25% of the trucks gross every week. Please call me @ 336 267 4557. ask for Aaron. Thanks. 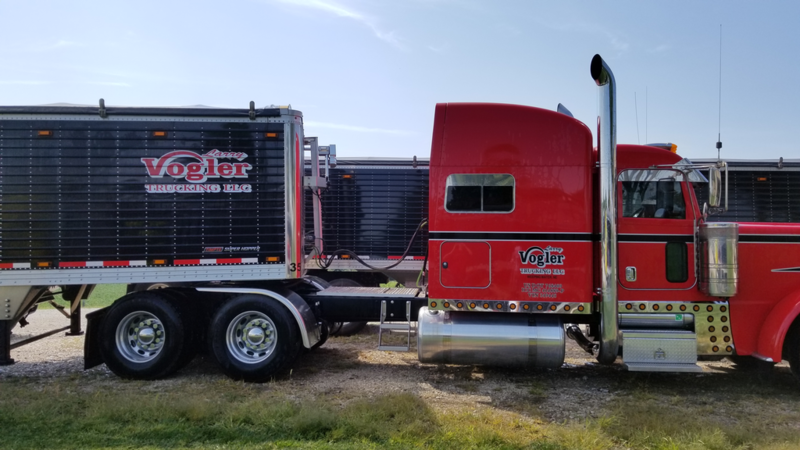 [email protected] looking to hire a driver to haul our HOPPER and PNEUMATIC trailer for local contracted lanes out of our facility in Mansfield, OH to destinations within 150 miles from origin. The Logistics Sales Associate position is a diverse job that requires applicants to hold problem solving skills, quick decision-making capability, excellent interpersonal skills, and a first-rate attitude for sales. The core tasks of this position concentrate on handling the FTL (full truck load) logistics needs of the customers through working with outside carriers, shippers and receivers. Candidates will need to possess strong sales insight and a competitive mindset to meet and exceed their sales goals. Self-motivated, eager individuals are preferred. There are uncapped commissions and unlimited growth potential. A generous salary + uncapped commission, which means you are never limited to how much your sales add up to. Previous sales or logistics experience is not required but is desirable. Develop and maintain strong relationships with current and prospective customers. Promote new business and manage existing accounts. Making outbound sales calls to acquire new business. Rate and price freight requests for current and prospective customers. Negotiate shipping rates with outside carriers to secure revenue for each load. Arrange for freight transportation using internal computer and technology systems. Report shipment status to customers. Dispatch loads and help drivers with questions or needs regarding the shipment. Build relationships with new & existing carrier database. Making outbound calls to secure available outside carriers or equipment for a given shipment. Intermediate computer skills are a must. Customer service or sales experience preferred but NOT required. Attention to organization and details. Superb over the phone customer service and sales skills. Self-motivated person with determination and a drive to succeed. Ability to adapt and work in an ever-changing environment. We are looking for candidates who show up every day with a positive attitude. [email protected]M.COM We are a small company that's looking for a few Dedicated Professional Freight Relocators. We have newer well maintained equiptment. 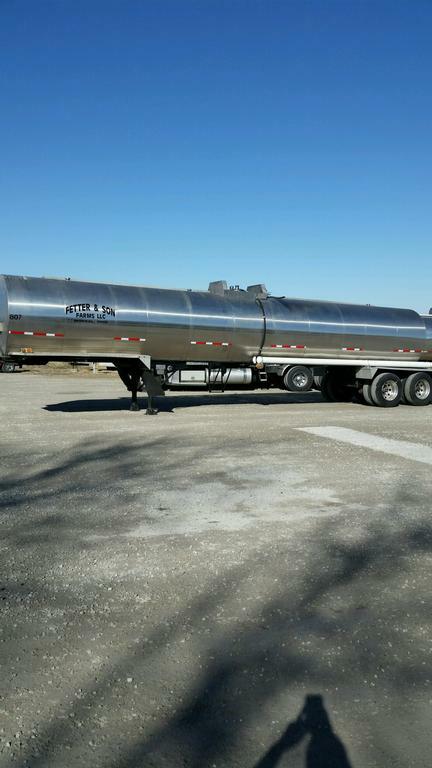 We have hopperbottom trailers and haul dry bulk Ag Commodities. We offer a complete benifit package.We Specialize in Dedicated Weekly runs. Drivers are Home weekends and Holidays. Give us a call at: (920) 901-2242 and ask for Denise, if this sounds like something that interests you. Looking for a few Owner Operators to add to our list this year. Truck will get paid per mile off of the trucks odometer. Need trucks that can pull out of Omaha NE and return to Omaha. We supply the trailer so only need a power and a driver. I don't check this forum very often so if you interested you'll need to email me. Work will begin the beginning of april and run through the beginning of June. Trucks should do a minimum of 4k and typically do 6k a week. Hi, I’m looking for pneumatic loads I’m south Austin, Tx If anyone can help. Looking to hire a driver willing to be his/her own boss. We'll manage the invoicing, insurance, taxes, payments, expenses etc.. Just need a driver that wants to manage getting the loads and taking care of the truck. (major repairs excluded). I have a grain hopper that needs a truck under it. I can provide the trailer you just need a truck. Contact me for more info so we can make something work. Willing to make it a long term deal for the right driver. Contact Dwight Petersen at 320-444-1321. [email protected] We are a growing 3PL and are looking for people to grow with us in our Omaha and Kansas City Offices. 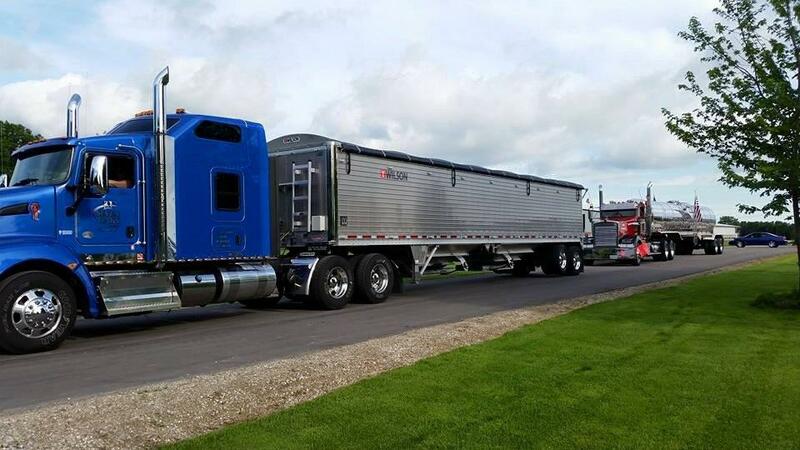 IF you are interested in working for a Growing company and want to be part of something big Please contact me at [email protected] Look forward to hearing from you..
[email protected] Looking for driver or O/O to pull hopper trailer. We have late model trucks (no elds). 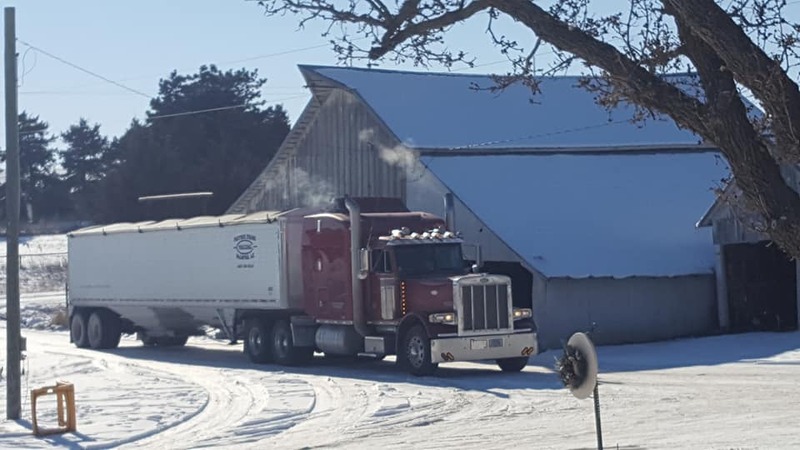 We haul ag products only and have dedicated year round loads. Must have decent driving record and must pass drug test. Home weekends. Prefer you live in KS/CO/OK area. Contact Terry 785-299-0438. [email protected] Attention: professional drivers!! Tired of the crappy brokerage service the hopper industry is getting now n days? Doing business with people that drive down rates & do not care for you or your drivers? Not getting any detention pay, no authority…. No problem! Run under our authority or join our company fleet by giving us a call today! RFG’s dedicated hopper program is looking for O/O’s and/or small trucking companies that would like to be part of our growing fleet. Here at RFG we care about your company’s goals, getting your drivers a fair detention if they have to sit and making your drivers the most amount of money possible while also getting them home regularly so they can be with their family & friends. Centrally located in Omaha, NE we have an amazing very personable team of people from a diverse background in the industry to help keep your trucks running & making money! We have a huge customer base that works well together, communicates, extremely friendly and loves to resolve any issue we or the trucks have! We are not commission based so the benefit is we work for you! Please contact us for more information on our dedicated hopper program, benefits, maintenance program, fuel cards & a set up packet today! Mitchell Snyder: [email protected] - (402) 932 - 6606(o) / (402) 590 -0596(c) Hope to speak with you soon! Need: OTR driver to start Monday. Paid per mile, including all reasonable. 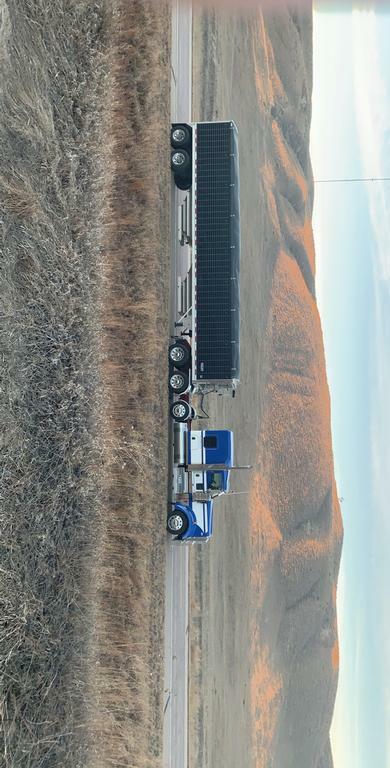 Must be willing to drive in all of lower 48 states (some MINOR exclusions may be accepted), maintain proper logs, perform daily pre-trip inspections. Home time negotiable - typically every other weekend. Can be based anywhere in US. OTR hoppers you set your own schedule as long as you meet customers demands. Can be home as much as you wish. If you are looking to work where you will not be sitting waiting for your next load and are over 23 years of age give us a call. Must have a current medical card. Must be able to pass a D.O.T. drug screen. Hopper Experience preferred however for the right driver not required. Southern Grain Brokers is looking to add dispatchers. Please call Stacy 870-733-7840 or 870-735-4944 for details. [email protected] Are you a Class A driver who’s always dreamed of being your own boss? 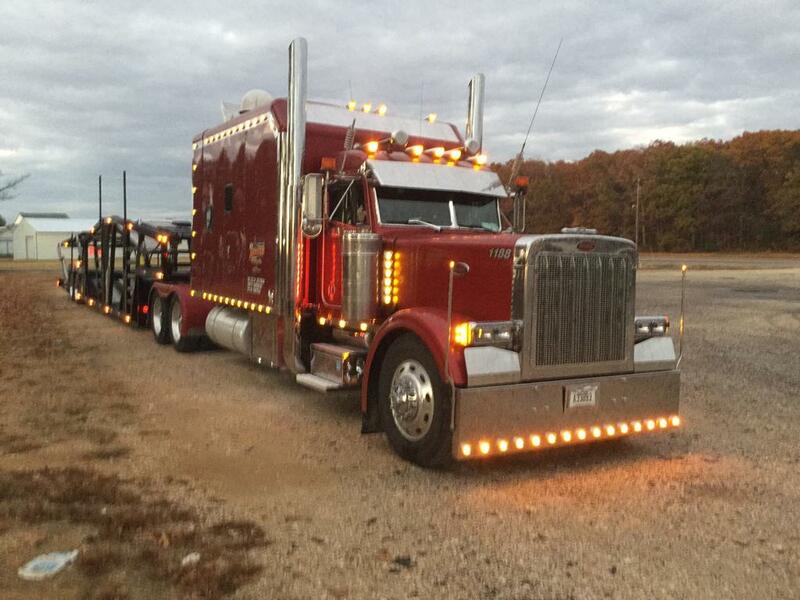 If so, then Jeff Jackson Trucking, LLC’s new OTR ownership program may be the opportunity that you won’t want to miss! With our flexible lease-to-own terms, our program makes it easy to own your own truck: Zero percent interest on lease. Flexible payment plans, allowing you to choose the option that is best for you. No balloon payment at conclusion of lease. Walk-away agreement. As a small, family-owned company, we believe that our success ultimately depends on your success. With that in mind, we’re also offering a Sign On Bonus of $2000!! Additionally, we offer the opportunity to lease on with us once you take over ownership of the truck. Our Owner Operators enjoy the following benefits: Ability to run under our Authority. Access to a fuel savings program to help keep your costs manageable - savings of over 10% at the pump in 2018! Full time, in-house, dispatch service so you never have to worry about where your next load will come from. Average of $2/mile, includes ALL MILES. Inclusion in our safety program, which may lower your insurance premiums. Trailer provided - no need to purchase your own! Flexible routes and flexible home time. Get paid every week! Contractor longevity bonus and safety bonus available as well! Limited spots are available, so if you’re a motivated driver who’s been looking for the right opportunity to take control of your career, give Matt a call at 217-855-9806 today! **Must have one year of recent driving experience, a clean driving record, and be able to pass a pre-employment drug screening. [email protected] Jeff Jackson Trucking, LLC, (Oreana, IL) is growing and we’re looking for quality Class A drivers to be part of the Team! 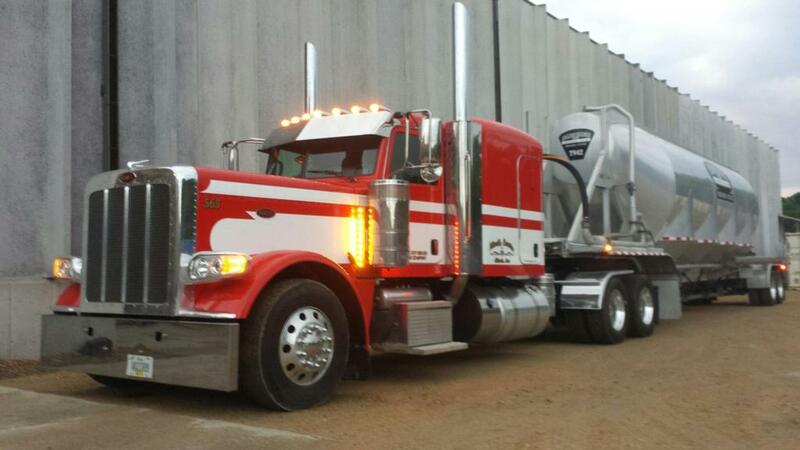 Available opportunities: Local Routes: -Home nightly -Hourly pay $15-20 per hour, based on experience and capabilities -Eligibility for safety and performance bonuses -Weekly pay OTR Routes: -Flexible routes - Internal dispatch -Eligibility for safety and performance bonuses -Hopper bottom trailer -Weekly pay Are you a Class A driver who’s always dreamed of being your own boss? If so, then be sure to ask us about our new OTR lease-to-own program that makes it easy to our your own truck! 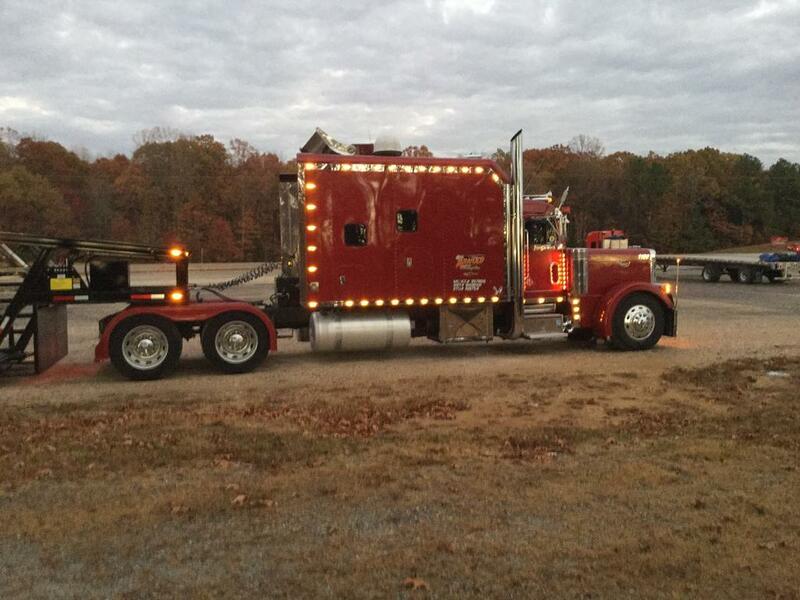 Owner Operators: -Ability to run under our Authority. -Access to a fuel savings program to help keep your costs manageable - savings of over 10% at the pump in 2018! -Full time, in-house, dispatch service so you never have to worry about where your next load will come from. -Average of $2/mile, includes ALL MILES. -Inclusion in our safety program, which may lower your insurance premiums -Trailer provided - no need to purchase your own! -Flexible routes and flexible home time. -Get paid every week! -Contractor longevity bonus and safety bonus available as well! 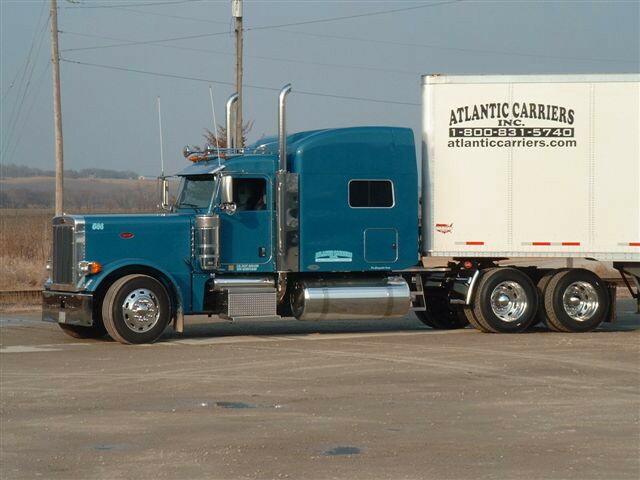 We are a small, family-owned operation who values our drivers as our greatest asset. 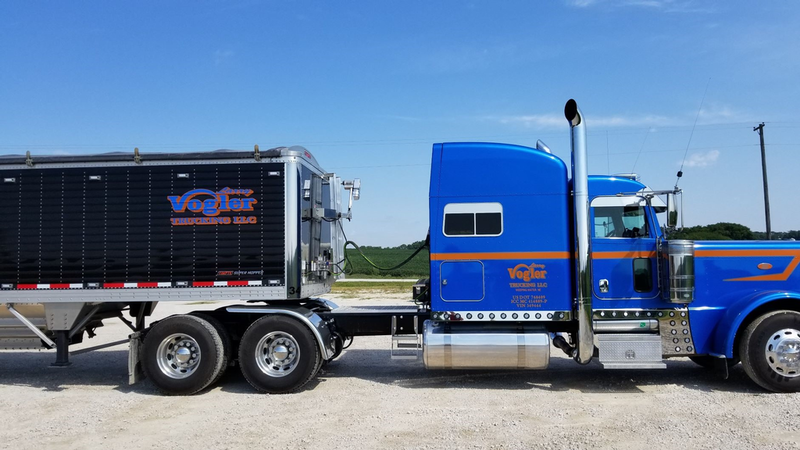 If you think you’d be a good fit, give Matt a call at 217-855-9806, or submit a resume of your driving experience, and information about your truck, if you’re an owner operator. ** Must have one year of recent driving experience, a clean driving record, and be able to pass a pre-employment drug screening. ** Owner Operators - Truck will be inspected prior to leasing on. [email protected] Growing, well funded Midwest company looking for motivated individuals to do Freight Brokerage. Hopper, belt, and end dump freight focusing on agricultural products, aggregate, fertilizer, salt. Also seeking individuals with expertise in different equipment if able to show the ability to generate a revenue stream. This is a Remote position. Generous percentage of Gross revenues paid as compensation. Contact for further details. [email protected] Growing, well funded Midwest company looking for motivated individuals to do Flat Bed &/or Van brokerage. Demonstrated ability to generate a revenue stream a plus. Compensation package is negotiable. Contact for further details. Positions available in corporate office or for remote office! [email protected] Growing Midwest company looking for motivated individuals to do Freight Brokerage and Dispatch. Hopper, belt, and end dump freight focusing on agricultural products, aggregate, fertilizer, salt. Would also consider individual with expertise in different equipment if able to show the ability to generate a revenue stream. Openings in corporate office. Base plus percentage, benefits and retirement. Contact for further details. [email protected] Looking for a regional truck driver. We generally run a 600 mile radius from SW Indiana. We haul feed in live bottom trailers to many farms and feed mills. I am looking for someone who has good driving record and at least 2 years experience driving tractor trailer. Thank you for your consideration. Please call me at 812-897-5231. Ask for Bobby. [email protected] End Dumps and Hoppers needed for weekly dedicated Lane Service to handle high volumes Central Tennessee, Central Alabama, Carolinas and North Florida traffic. Please call Melvin Wills, President Wills Logistics (615) 606-0381 or Butch Kerns Wills Logistics National Sales Manager(704) 718-6723. [email protected] Looking for end dump owner operators throughout Texas and Oklahoma for deliveries of aggregates and sand (not frac sand). Contact Doug at 972-483-0494 for additional information. We have available positions for owner operators with blowers to run frac sand out of our facility in Carlsbad, NM. 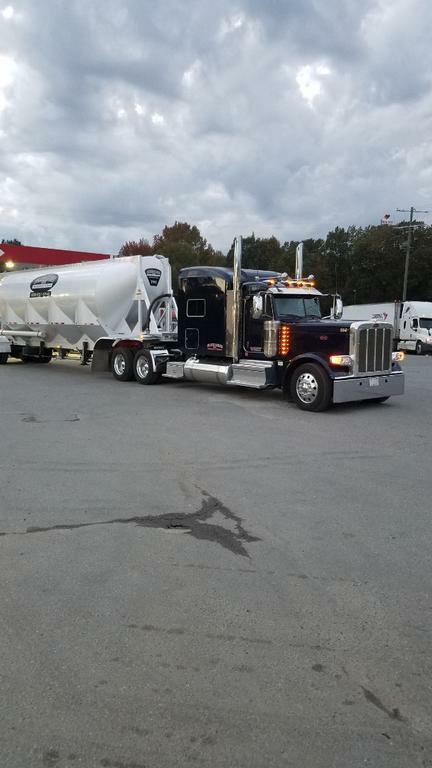 Owner operators are paid 70% per load based on a $540.00 load if they pull a Bobeaux trailer and 80% if they pull their own trailer. We are only doing pneumatics at this time. We also have company driver positions available as well. Company drivers are paid 25% of each load. Must have two years CDL licensed experience for the appropriate class of business Driving similar equipment /Maximum of 3 moving violations, or 2 moving violations & 1 accident in 3 years. No Major Violations such as (Reckless driving, DWI, DUI, Leaving the Scene of an Accident) within the past 10 years. [email protected] Attention all professional drivers!! Tired of the crappy brokerage service the hopper industry is getting now n days? Doing business with people that drive down rates and do not care for you or your drivers? Not getting any detention pay? Hate calling into your dispatcher every morning? Give me a call today! RFG’s dedicated hopper program is looking for O/O’s and/or small trucking companies that would like to be part of our growing fleet. Here at RFG we care about your company’s goals, getting your drivers a fair detention if they have to sit and making your drivers the most amount of money possible while also getting them home regularly so they can be with their family & friends. Centrally located in Omaha, NE we have an amazing very personable team of people from a diverse background in the industry to help keep your trucks running & making money! We have a huge customer base that works well together, communicates, extremely friendly and loves to resolve any issue we or the trucks have! We are not commission based so the benefit is we work for you! Please contact us for more information on our dedicated hopper program, benefits, maintenance program, fuel cards & a set up packet today! Mitchell Snyder: [email protected] - (402) 932 - 6606(o) / (402) 590 -0596(c) Hope to speak with you soon! Stat of North Florida is now hiring OTR Flatbed Truck Drivers to join our team! Eight trucks to fill ! Stat Of North Florida has well maintained equipment and top pay! Drivers average $1.5k+/week. Call or email for more information or to apply. My name is Mazie, I work with TQL. I have begun expanding trucking industry here at TQL and am trying to establish a list of reliable carriers in the Mid-West Region for some of my customers. I have loads from Columbus OH- Pendergrass GA, Lima OH- Battleboro NC, and Reading PA- Buffalo NY. I would like to have designated carriers for these loads, and in doing so assist drivers with guaranteed freight and customers with guaranteed drivers. Any help is greatly appreciated, give me a call at 800-580-3101 x46815 or feel free to email me at [email protected] with mc numbers for more information. We are look for an End Dump shipper to pick up multiple loads of HDPE Pipe from Odessa, TX and deliver it to Graham, TX (around 260 mi). Pay will be $1,000/ load. [email protected] looking for good rates and to be a dedicated carrier for the right broker, I live in the Ft Worth area and can run anywhere but prefer to sray south unless its a crazy rate! I pull a 4310272 super hopper with the big doors. I can haul 48k full of fuel, and Im not interested in hauling products that have to be dug out of trailer. I am old school and run eld but run hard. Any leads would be great, but please no cheap freight or any games. Thanks!! !